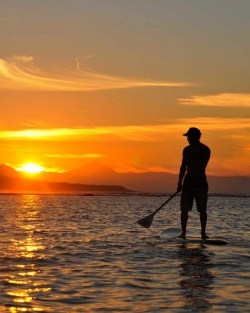 Learn Stand Up Paddle hiring your own instructor and live a great experience by the Confital Bay. We are the first SUP school in Las Palmas de Gran Canaria where we teach since the year 2010. We buy the best paddle material in the world, Starboards. 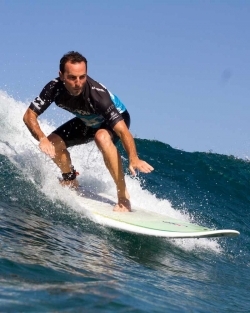 Being the pioneer school, we are in the best area of the beach for the practice of this sport, zone Hotel Reina Isabel, in front of Burger King.The entrance and exit is perfect for beginners, due to the natural reef that makes this bay one of the best beaches in the Canaries for this sport. Minimum reservations or cancellations 24 hours in advance. Individualized PaddleSurf classes of 2 hours duration. 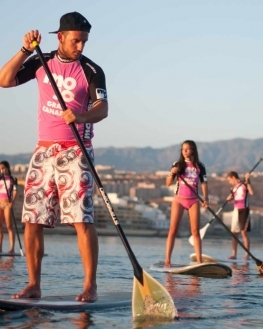 Instructor titled by the Spanish Federation of SUP or Canaries Federation. High quality material, table and rowing STARBOARDS. Classes are given in Spanish or in English. Consult other languages. Lycra and Billabong westsuit, if necessary. Photo and / or video report..